Psoriatic arthritis is a long-term inflammatory arthropathy occurring in a subgroup of patients with psoriasis. In addition to irreversible bone erosions, joint destruction, and skin manifestations, psoriatic arthritis is associated with numerous comorbid conditions. Over the last 5 years, new treatments emerged; the analysis and comparisons of their additional costs and the added benefits have become increasingly important to optimize the limited resources available. A systematic literature review covering PubMed, EMBASE, and the Cochrane Library was performed from May 2012 to October 2017 focusing on the most recent evidence of costs, benefits, and burden of psoriatic arthritis and its treatments. All economic evaluations assessing the burden of patients with psoriatic arthritis and written in English were eligible for inclusion. We also performed an assessment of the quality of the studies. Of the 1652 references found in the literature search, nine cost-effectiveness analyses and 12 cost-of-illness studies were included in the current review. Patients with psoriatic arthritis incur substantially higher direct and indirect costs, as compared with patients with psoriasis without arthritis or patients with other inflammatory diseases. The cost of treatment with biologic therapies is the major predictor of the total cost. However, individuals with psoriatic arthritis are also affected by substantial productivity losses and indirect costs. Biologic therapies are generally cost effective vs. conventional therapies (e.g., synthetic drugs) for treating psoriatic arthritis. Psoriatic arthritis is associated with a significant economic burden and biologic therapies contribute significantly to these costs. Biologic therapies are more effective than disease-modifying anti-rheumatic drugs for the symptoms and signs of psoriatic arthritis and for improving quality of life and inhibiting structural radiological damage. Therefore, biologic therapies are cost effective compared with conventional therapies: the increased direct cost associated with biologic drugs is offset by the significant improvement in the efficacy of treatments and in patient management of psoriatic arthritis. LSD and PAC wrote the first draft of the manuscript. MM and SM conducted literature searches. AL oversaw data assembly and collection and provided summaries of previous research studies. GC and LGM reviewed and supervised the activities. All authors have materially participated in the research and the manuscript preparation. Lucia S. D’Angiolella, Paolo Angelo Cortesi, Alessandra Lafranconi, Mariangela Micale, Sveva Mangano, Giancarlo Cesana, and Lorenzo G. Mantovani have no conflicts of interest directly relevant to the content of this article. World Health Organization. Global report on psoriasis. 2016. http://apps.who.int/iris/bitstream/10665/204417/1/9789241565189_eng.pdf. Accessed 3 Feb 2018. Löfvendahl S, Jöud A, Petersson IF, Theander E, Svensson Å, Carlsson KS. Income disparities in healthcare use remain after controlling for healthcare need: evidence from Swedish register data on psoriasis and psoriatic arthritis. Eur J Health Econ. 2017. https://doi.org/10.1007/s10198-017-0895-5 (Epub ahead of print). O’Dwyer JL, Meads DM, Hulme CT, McParland L, Brown S, Coates LC, Moverley AR, Emery P, Conaghan PG, Helliwell PS. 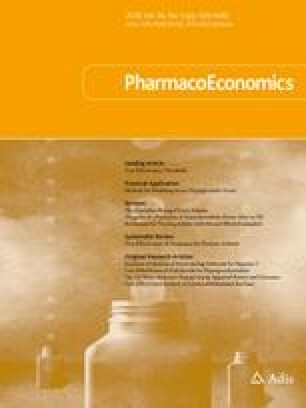 Cost-effectiveness of tight control of inflammation in early psoriatic arthritis: economic analysis of a multicenter randomized controlled trial. Arthritis Care Res (Hoboken). 2017. https://doi.org/10.1002/acr.23293 (Epub ahead of print).